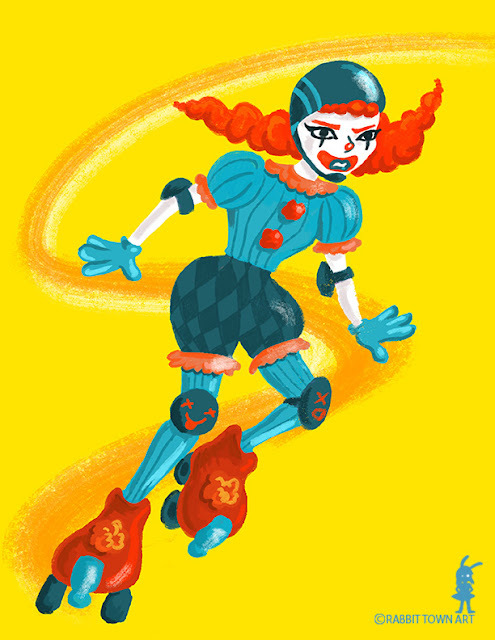 My roller derby girl that I put up for the new game on Kookyrabbit. There's a character design challenge going on at the moment on Facebook but this was just a rough more than anything. Not really challenge worthy. Now, I hit my animation quota, finished one animation job, have an urban sketch meeting tomorrow and need to illustrate my book. Then finish off the rest of my animation footage for next Friday. Busy, busy...busy.